FALLEN SAINTS featured on HalloweenEveryNight.com!! "Hypnotic and Magical Evening at a Victorian Seance." "The charm of Fallen Saints is that you are part of the show at all times. 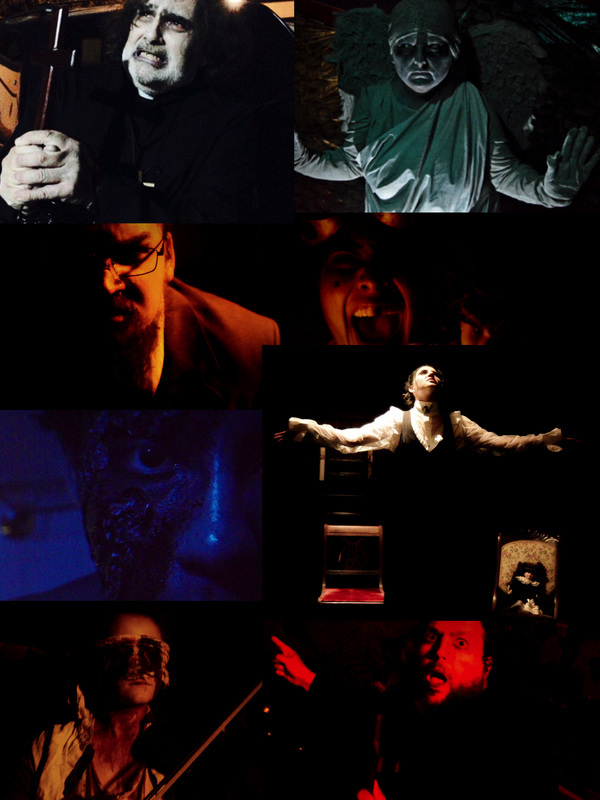 All the actors are 100% committed to their characters and deliver wonderfully eerie performances." 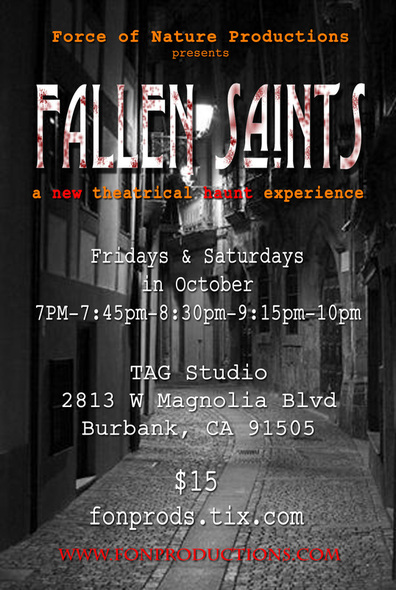 "Fallen Saints features solid performances and memorable tableau vivant..."
"Fallen Saints' promises to become a worthy addition to the city’s fall fear fest..."
"More Crimson Peak and Penny Dreadful than Friday the 13th or Hellraiser." Victorian London is the intellectual and technological center of the world. It’s also home to the most horrific, violent crimes, and murders in history. At its core lies Fallen Saints, a mortuary specializing in violent deaths. As the deaths grow more unusual, the spirits grow more restless, wreaking havoc across the city. Join medium, Evelyn “Evie” Skrain, as she attempts to rid the mortuary of the tortured souls, one way or another. Join Force of Nature for this immersive Halloween theatrical haunt! Just be warned, the spirits are known to follow some home. Limit of 30 souls per time slot!